Crowd Cow is a meat delivery service that connects consumers directly with meat producers and farmers, and offers ala carte meat selections in addition to their meat subscriptions and meat delivery service. This No Middleman favorite offers a wide selection of meats—64 different meat products on their website, on the day of our review! 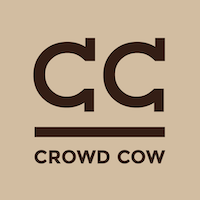 Crowd Cow offers pasture-raised chicken and chicken sausage, pork (chops, sausage, bacon), and a wide variety of pasture-raised beef steaks (both grain-fed or grass-fed). They also have the highly-sought Japanese Wagyu beef and steaks, which have a unique diet and flavor. The transparency of Crowd Cow meat is impressive, with information on meat’s origin and filters such as dry-aged, antibiotic-free, grass-fed, hormone-free, and more. On their website you’ll see several opportunities to “buy your share”, which is effectively like crowdfunding a cow (or several animals) and getting a large amount and assortment of meat cuts.